The Foederatio Internationalis Una Voce (FIUV) and the Latin Mass Society of England and Wales (LMS) had, of course, to react, both immediately, and in a more considered and scholarly fashion. Our initial (coordinated) reaction, also published on this blog, can be seen here; below is the fruits of more detailed research and consultations. We have been obliged to broach a topic which we had not intended to make the subject of such a Position Paper. Although very interesting, the Prayer for the Jews can hardly be considered central to the lives of the Faithful attached to the Extraordinary Form, compared with issues like the use of Latin, or the ancient Lectionary. It is said once a year, on the least-well attended, and least-often celebrated, of the three major services of the Sacred Triduum. Its history is complicated by the successive attempts to defuse complaints by Jews and others about it, which resulted in official decrees about in 1948, 1956, 1959, and 1965, as well as changes in 1970 and 2008. A topic at once complicated, neuralgic, and arguably trivial: let's just leave it alone. Since the Bishops of England and Wales have chosen not to leave it alone, however, here is our Position Paper. And the issue is, after all, important. It raises profound issues concerning the Old and New Covenants, about the nature of salvation, about the Church's mission, and about the proper attitude to the language of the Church Fathers and the liturgy. It also forces us to confront some of the most shameful episodes in the history of the Church. The paper's conclusion is simple: that while the actions of many Catholics have been gravely sinful, the voice of the Church in the ancient liturgy, a voice from the age of the Fathers of the Church, cannot be tarred with the brush of anti-Semitism. Let us repudiate violence and hatred: to do so does not require us to repudiate the Church's traditional liturgy. The paper can be downloaded as a pdf here; the full series of papers can be seen here. Because of length and difficulties of formatting, I have not included the paper's three appendices below; please see the pdf version for these. I am going to do a series of posts on my personal blog bringing out specific aspects of the issue under this label; the first of these is here. The Prayer ‘Pro conversione Iudæorum’, one of the Orationes sollemnes in the Solemn Liturgy of Good Friday, has caused controversy for many years, and the appropriateness of the wording used in the Extraordinary Form today is again under discussion. This Position Paper aims to set the prayer into its historical and theological context, and to defend its appropriateness in light of its correct understanding. In reciting a prayer of such venerable antiquity, we seem to enter into a closer spiritual relationship with those early generations of martyrs and confessors for the faith, who used the self-same words before us, and thus obtained the graces needful to enable them to correspond to their high vocation of witnessing to this faith with their own blood. The series forms a coherent whole, in intention and tone, covering the different ‘orders’ within the Church, and different categories of those outside the Church. The prayer for the Jews differed from the other intercessions in not including a genuflection, until the reform of Holy Week in 1956. The prayers remained unchanged until very recent times. The pre-1956 version of the Prayer for the Jews and its rubrics are discussed in Appendix C; its modern history is given in detail in Appendix A.
Pope Benedict XVI replaced the ancient text of the Prayer for the Jews with a new composition in 2008. Criticisms made of the Benedictine composition also apply to the text it replaced. The meaning of the texts must be considered in light of the theology of the Fathers of the Church, which was current at the time of the original prayer’s composition, as well as the most recent magisterial documents. As this is a large topic, the treatment here will necessarily be summary. a day will come when he [sc. Christ] will make himself known to the Synagogue as well. This will doubtless be at the end of the world. The eschatological focus of the Prayer for the Jews is underlined by its reference to the Jews as a corporate body, ‘that people’ (‘illius populi’). The unbelief of the Jews has been made of signal benefit to us, so that those who do not receive these truths in their heart for their own good nevertheless carry in their hands, for our benefit, the writings in which these truths are contained. Thus, the Jews’ failure to accept the Gospel is not a matter of indifference, but rather, on the one hand, their conversion is something devoutly to be desired, presaging the Second Coming, and on the other, that their unbelief in the meantime makes more credible the prophecies of Christ, which they preserve in their Scriptures. This formed the theological underpinning for a practical policy of toleration and charity towards the Jews, despite the harsh language sometimes employed by the Fathers in relation to Jewish lack of belief. Pope St Gregory the Great himself affirmed such a policy, and it was reiterated, in the face of violence against the Jews occurring in the context of the Crusading movement, in Pope Callixtus II’s 1120 Bull Sicut Iudeis. This threatened excommunication to any who stole Jews’ property, interfered with their religious services, or compelled their baptism. In 1146 St Bernard of Clairvaux, ‘the last of the Fathers’, echoed St Augustine in condemning attacks on the Jews, calling them ‘the living words of Scripture’ and ‘living witnesses of our redemption’. This official theological resistance to anti-Semitic violence was itself challenged, however, in the 13th century. Notably, in 1238 Nicholas Donin attacked the Talmud as leading the Jews into error and blasphemy, undermining the notion of the Jews as bearing witness to the truth. In the following centuries Jewish religious writings were seized for examination or destruction, sometimes by Papal mandate; synagogue services were disrupted and aggressive proselytization attempted by members of religious orders; mass expulsions were carried out from many European countries; and theological justification was sought even for forcible baptism. It must be underlined that this tragic phase in the Church’s history cannot be blamed on the theology of the Fathers, from which the Prayer for the Jews derived, but precisely from the rejection of that theology. Throughout the period attempts were made to defend the Patristic view, notably by St Thomas Aquinas, and to refute Donin’s claims about the Talmud, a refutation definitively accepted following the Council of Trent, in contrast to the views of Martin Luther. It is the Patristic, Thomistic, and Tridentine position which, with the later Magisterium to be considered in the next section, constitutes the perennial teaching of the Church, which is the proper context for the interpretation of the Prayer for the Jews on both historical and theological grounds, and which is definitive for Catholics attached to the Extraordinary Form. Wherefore to promote the glory of God and procure the salvation of all of these, and mindful of the command of the Lord, “Preach the Gospel to every creature,” (Mark 16:15) the Church fosters the missions with care and attention. The Ordinary Form Good Friday ‘Prayer for the Jews’ calls for them to come to ‘the fullness of redemption’. The lack of specification as to the means of their salvation has caused controversy, with some contending that the Old Covenant is a means of salvation for the Jews today. Other prayers of the Ordinary Form are clear, however. The Vespers of Easter Sunday includes the prayer ‘Let Israel recognize in you [sc. Christ] the Messiah it has longed for’; other examples are given in Appendix B. The Patristic view outlined above (6-8) is illustrated in many passages given in the Ordinary Form Office of Readings. The Catholic prayer manifests the same altruistic spirit that characterizes the faith of Judaism. It has been found necessary, in official documents of the Holy See, repeatedly to condemn the view that the Jews could be saved other than through the life, death, and resurrection of Jesus Christ. The theory that there may be two different paths to salvation, the Jewish path without Christ and the path with the Christ, whom Christians believe is Jesus of Nazareth, would in fact endanger the foundations of Christian faith. Confessing the universal and therefore also exclusive mediation of salvation through Jesus Christ belongs to the core of Christian faith. Criticisms of the 2008 Prayer for the Jews refer to three different aspects of the prayer. First, a criticism is made of the use of the language of ‘enlightenment’, suggesting as it does that the Jews are currently in a state of darkness. It is difficult to sustain such criticism, however, given that the phrase reflects the language of St Paul (2 Corinthians 4:3-6). St Paul’s use of vivid and even harsh language itself continues the tradition of the Prophets of the Old Testament and of Our Lord. Second, some critics of the prayer do not appear to accept that all salvation is through Christ. As noted, the Church can never allow the validity of such criticism, which strikes at the heart of the Christian faith. Third, there is the question of mission to the Jews. Here, historical context is of special significance. The renewed debate on relations with the Jews which was sparked by the Second Vatican Council took place under the shadow of the Shoah, in which the survival of the Jewish people had been brought into question as never before in history. The rapid assimilation of some Jewish communities since the Second World War may seem to raise the same question through non-violent means. A systematic attempt to convert Jews to Christianity, if successful, would seem a similar threat. In light of the teaching of the Fathers on the role of the Jews in salvation history, there is no justification for the view that the 2008 Prayer for the Jews, or its predecessors in earlier Missals of the Roman Rite, implies a commitment to a systematic project to make Judaism disappear. The Fathers, with St Paul before them and Aquinas after, expected a non-Christian Jewish community to continue in existence until the last days, and attribute an important symbolic role to this community up to then, and also during that final phase of history. Equally to be emphasised is the compatibility of this expectation with the universal missionary imperative, with the conversion of individual Jews to Christianity, and with the desire for the complete conversion of the Jews, connected as it is with the desire for the return of Christ in glory. The Church must acknowledge the sensitivities of the current era, following the Shoah. She must also remain true to the mission entrusted to her by Christ, her Head. As a matter of logic, commitment to ‘targeted proselytism’ does not follow from the Church’s universal missionary vocation, since it is not possible for the Church to target every group at once, and it is reasonable to take account of historical, political, and cultural factors in choosing where missionary efforts should be focused. The correct response to the latest criticisms of the Prayer for the Jews must be, with the documents quoted in the last section, to continue to explain the teaching of the Church, and not give way to pressure to hide it. For these appendices, see the pdf version of the paper. Josef Jungmann The Mass of the Roman Rite (New York: Benzinger Brothers, 1955: English Edition, trans Francis Brunner C.SS.R.) Volume I pp481-2: Jungmann remarks that in these Prayers, ‘whose echo goes back to the first century, we have the general prayer of the Church in the exact wording in which it was performed … since the third century.’ The footnotes explain the phrase ‘echo of the first century’ with a quotation from St Clement of Rome Ad Corinth., (c59-61), whose list of petitions strikingly anticipates the Orationes sollemnes. Jungmann explains that these prayers were originally said throughout the year. Cf. the discussion by Philip Goddard Festa Paschalia pp174f. The Anglican scholar G.G. Willis observed that the collects employ the rhythmical prose called the ‘cursus’, a style in use from the 4th to the 7th centuries, though the bidding prayers, for the most part, do not, and speculated accordingly that the bidding prayers might have been composed before the 4th century: “The Solemn Prayers of Good Friday” in his Essays in Early Roman Liturgy (London, SPCK: 1964) pp1-48, at pp45-47. Bl. Ildefonso Schuster The Sacramentary (Liber Sacramentorum): Historical and Liturgical Notes on the Roman Missal (English translation: London: Burns Oats, 1925) trans Arthur Levelis-Marke Vol II p211. 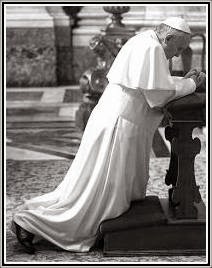 Specifically, the prayers are: for Holy Church [‘pro Sancta Ecclesia’], for the Pope [‘pro Summo Pontifice’], for Every Grade of the Faithful [‘pro Omnibus ordinibus gradibusque fidelium’], for Rulers [‘pro respublicas moderantibus’], for Catechumens [‘pro catechumenis’], for the Necessities of the Faithful [‘pro fidelium necessitatibus’], for the Unity of the Church, i.e. for heretics and schismatics [‘pro unitate Ecclesiae’], for the Conversion of the Jews [‘pro conversione Iudæorum’], and for the Conversion of the Pagans [‘pro conversione infidelium’]. The ancient Prayer for the Emperor was adapted to apply to rulers in general in 1956. It had over the centuries been applied to the Holy Roman Emperor, and then the Habsburg Emperor. It was not said after 1918. The revised prayer (‘Pro respublicas moderantibus’) used phrasing from the Prayer for the Emperor and another collect, from the Leonine Sacramentary, ‘Auxiliare, domine temporibus nostris’ (Mohlberg Sacramentarium Veronense (1966) p. 64, no 480). St Gregory the Great Moralia in Iob. See also St Augustine, Questions on the Gospels of Matthew and Luke, bk 2 q. 33, talking about the parable of the prodigal son: ‘He [the elder brother] is angry even now also, and still is unwilling to enter. When then the fullness of the Gentiles shall have come in, his father will go out at the fit time that all Israel also may be saved.’ St John Damascene On the Orthodox Faith, book 4, 26: ‘But Enoch and Elias the Thesbite shall be sent and shall turn the hearts of the fathers to the children, that is, the synagogue to our Lord Jesus Christ and the preaching of the apostles.’ This understanding also lies behind St Bede’s commentary on the Book of Tobit. This is not the case in the otherwise parallel prayers for heretics and schismatics, and for pagans. St Gregory approved of the conversion of Jews provided it was not done under compulsion. He ordered that they must be left free to celebrate their festivals without interference, and he also forbade the demolition of synagogues in order to build churches, prescribing that where this had already happened the Jewish community must be compensated for their loss of their property and, if their holy books had been confiscated, they must be returned to them (See R.A. Markus Gregory the Great and His World (Cambridge: Cambridge University Press, 1997) pp.76-80). Other factors in the wave of anti-Semitic violence included legislation obliging Jews to earn their living from banking and usury, which contributed to their unpopularity. The Bull is also known as the ‘Constitution of the Jews’. Nicholas Donon of La Rochelle was a Jewish convert to Christianity and a Franciscan friar. Another Jewish convert, a Dominican friar, Paul Christian, pursued a complementary line of theological attack on the former consensus, by accusing the Jews of Deicide (in 1269 or 1270), inferring that ‘They deserve to be killed, and woe to those creatures that tolerate them’. This claim was effectively demolished by St Thomas Aquinas in his commentary on 1 Corinthians 2:8. See David Decosimo Ethics as a Work of Charity (Stanford CA: Stanford University Press, 2014) p25. The claim that, notwithstanding the anti-Semitic violence of the previous century, the 13th century saw a marked deterioration of conditions for European Jews, in connection with these critiques of the previous consensus of the role of the Jews in salvation history, is the thesis of the influential study by Jeremy Cohen The Friars and the Jews: A study in the development of medieval anti-Semitism (Ithaca NY: Cornell University Press, 1982). His implication of St Thomas Aquinas in this development has been overtaken by more recent scholarship, notably Boguslawski op. cit. and Decosimo op. cit.. The defence of forcible baptism was made by Duns Scotus, who made only a symbolic concession to the Patristic view of the importance of the conversion of the Jews before the Second Coming, suggesting that a group of Jews be allowed to exist on an island, in complete isolation from the Christian community. See Henry A. Krop ‘Duns Scotus and the Jews: Scholastic theology and forced conversion in the 13th century’ Netherlands Archief voor Kerkgeschiedenis 69 (1989) pp161-175. Notably by Raymond Martin’s Pugio Fidei, published c.1270. The Bidding of the 1970 prayer is almost identical to the version promulgated as a stop-gap reform in 1965, but the Collect has been changed: the 1965 version petitioned that the Jews ‘may acknowledge Jesus Christ our Lord as the Redeemer of all’ (see Appendix A). For example: ‘As I live, saith the Lord God, I will not the death of the wicked, but that the wicked turn from his way and live’ (Ezech. 23:11). ‘It is not the will of our Father Who is in heaven that one of these little ones should perish’ (Mat. 18:14). ‘God dealeth patiently for your sake, not willing that any should perish, but that all should return to penance’ (2 Pet. 3:9). ‘God will have all men to be saved, and to come to the knowledge of the truth’ (1 Tim. 2:4). Rabbi Neusner refers to the Authorised Daily Prayer Book of the United Hebrew Congregations of the British Empire (London, 1953). The call for the conversion of the ‘impious’ does not form part of the prayer as used today by British Jews, and the history of the prayer is a complex one. Thus the Commission for Religious Relations with the Jews: Notes on the correct way to present the Jews and Judaism in preaching and catechesis in the Roman Catholic Church (1985) 7. ‘In virtue of her divine mission, the Church, which is to be “the all-embracing means of salvation” in which alone “the fullness of the means of salvation can be obtained” (Unit. Red.3); “must of her nature proclaim Jesus Christ to the world” (cf. Guidelines and Suggestions, I). Indeed, we believe that it is through him that we go to the Father (cf. Jn. 14:6) “and this is eternal life, that they know thee the only true God and Jesus Christ whom thou hast sent” (Jn17:33). 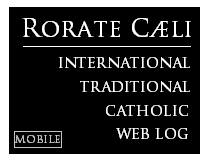 Commission for Religious Relations with the Jews: The gifts and the Calling of God are Irrevocable (Rom 11:29): A reflection on theological questions pertaining to Catholic–Jewish relations on the occasion of the 50th anniversary of Nostra aetate (no.4) (2015) 35. Initial criticisms, in 2007, came from groups outside the Church, notably the Anti-Defamation League of the USA, as well as from inside. The publication of the Benedictine prayer in 2008 took place shortly before the start of the 2008 German Katholikentag which took place in Osnabrück, an important biennial gathering of German-speaking Catholics. A number of Jewish collaborators withdrew from the event in protest, and many criticisms of the prayer were articulated at the gathering, which were then reported in the German press. More recently, the Bishops’ Conference of England and Wales approved a statement critical of the Benedictine prayer, which included this passage: ‘The 1970 Prayer, which is now used throughout the Church, is basically a prayer that the Jewish people would continue to grow in the love of God’s name and in faithfulness of his Covenant, a Covenant which—as St John Paul II made clear in 1980—has not been revoked. By contrast the Prayer produced in 2008 for use in the Extraordinary Form of the liturgy reverted to being a prayer for the conversion of Jews to Christianity.’ (Bishops’ Conference of England and Wales, Resolution on the Good Friday Prayer for the Jews, published 24th November 2015).